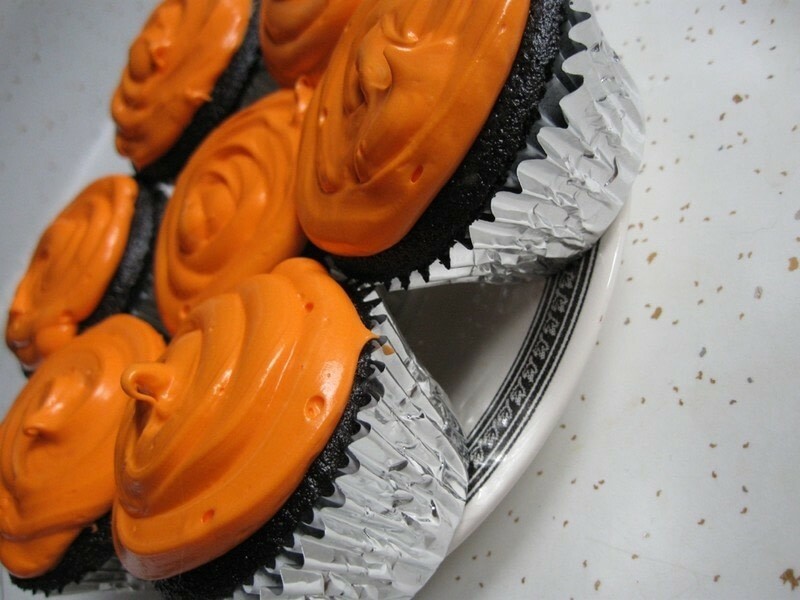 Easy, quick and inexpensive black and orange cupcakes for Halloween. 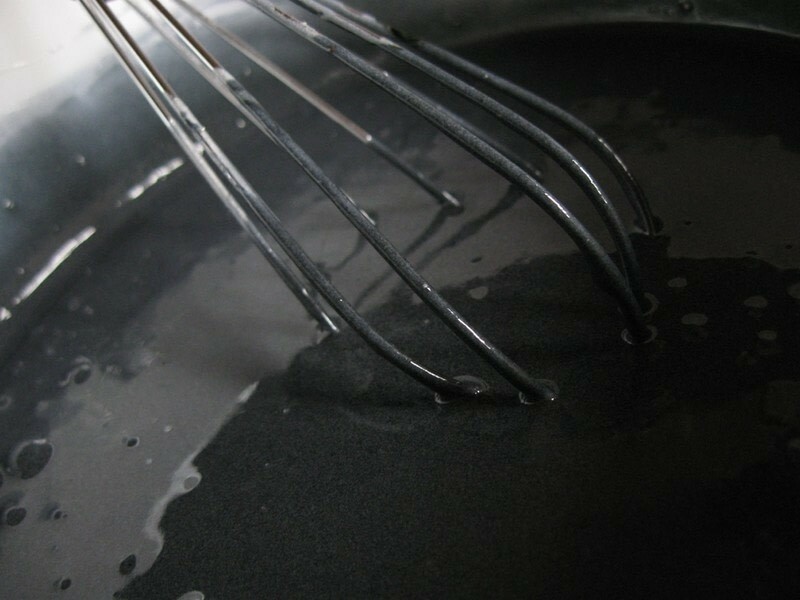 I wanted to make black cake. I used black gel dye to color the batter. It takes a lot of dye to make cake black. I added 1/2 teaspoon of apple pie spice to give the cupcake at little something extra. Apple pie spice give the cake an "autumn" taste. 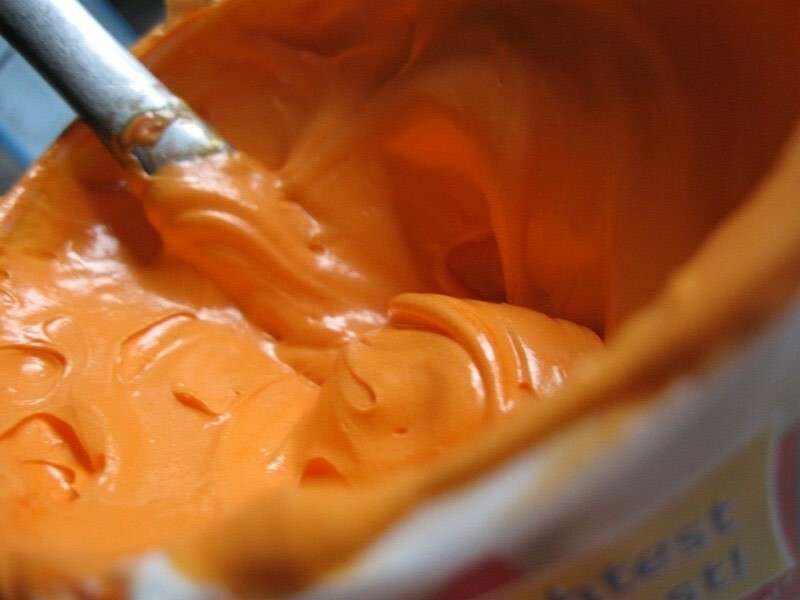 Orange dyed prepared cream cheese frosting, the best frosting ever. Silver foil papers. The frosting was piped on using a Ziplock bag. How do you know they aren't burnt? Hmmm. 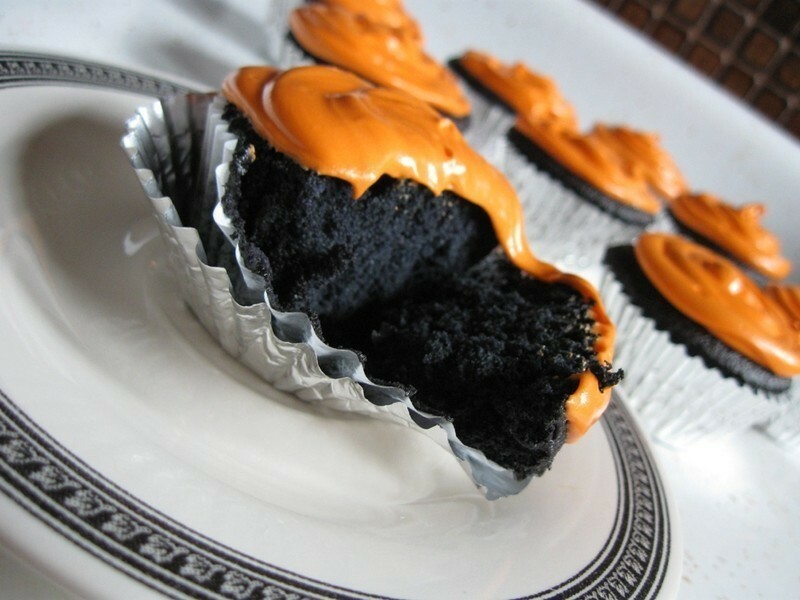 Black cake, or rainbow cake? Which shall I make first? 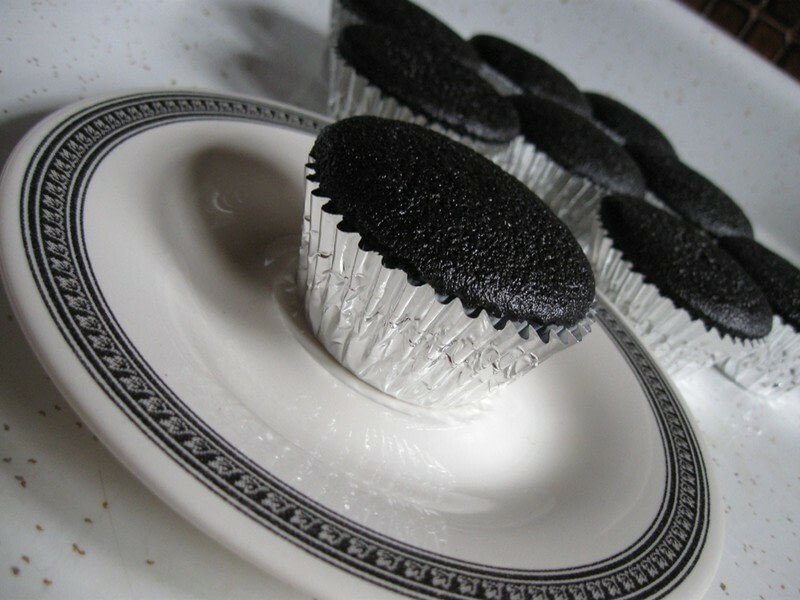 Chocolate would require less food dye but as it was discussed in a baking community, some people do not like chocolate cake (gasp!). I do, but I wanted to create a cake that was "black" but not chocolate.